Bergamot Essential Oil has uplifting properties and a fresh, green-fruity aroma. This bergamot oil has a lovely, olive green color and exceptional aroma. We recommend this pure, whole bergamot oil for use in a diffuser or burner, and the Bergamot FCF for use in skin care products or massage oils. Bergamot essential oil has the potential to cause burns if applied before exposure to sunlight or tanning beds, and so for most applications, we recommend the bergamot FCF (which reduces that risk). 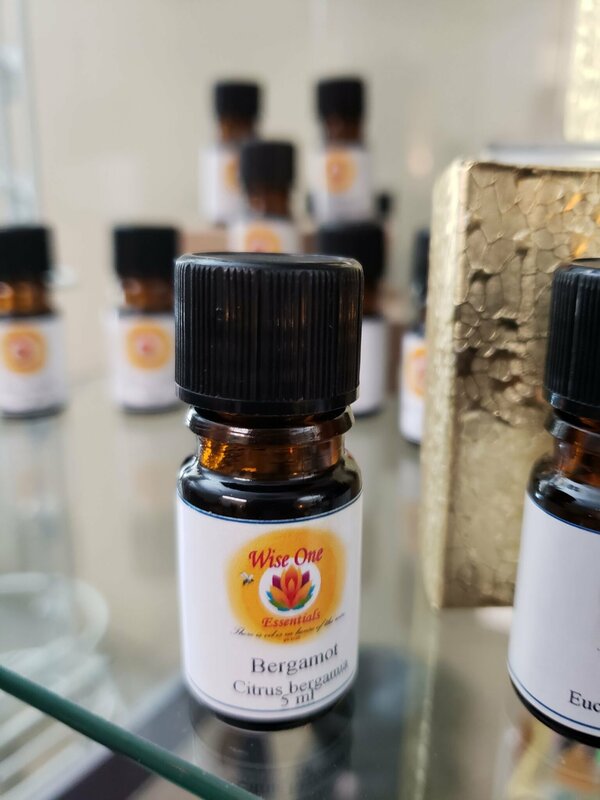 However, we've had several requests for the whole bergamot oil, and so we're offering it with the caution of only using it in a diffuser or burner. Bergamot oil is familiar to many as the flavoring in Earl Grey Tea. It is a popular ingredient in many fragrances, cosmetics and perfumes, and is most well known as the classic ingredient of eau-de-cologne. This light, fruity citrus oil has an uplifting, refreshing aroma. According to Gabriel Mojay ("Aromatherapy for Healing the Spirit"), Bergamot oil has the ability to help disperse stagnant Qi-energy, thus encouraging the release of pent-up emotions which can keep us 'stuck'. Do not apply this bergamot oil to skin or use in bath prior to exposure to the sun or tanning lamp - it can increase the susceptibility of the skin to severe burning. Bergaptene free Bergamot (FCF) is available which reduces that risk.